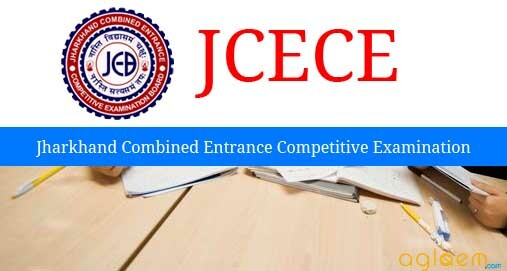 JCECE (LE) ECE 2019 – Entrance Competitive Examination for admission into Engineering Course (Lateral Entry) will be conducted by the Jharkhand Combined Entrance Competitive Examination Board. Candidates belong from India and the resident of Jharkhand are eligible for the JCECE (LE) 2019 for admission in 3rd Semester (2nd year). Candidates can now apply for JCECE (LE) ECE 2019 from the official website. Candidates selection will be done on the basis of marks secured in the Competitive Entrance Examination (LE). 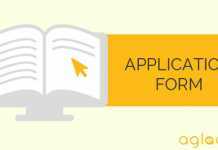 Eligible candidates can check the complete details of JCECE (LE) ECE 2019 like application process, eligibility criteria, selection process, result etc through this page below. Latest: JCECE (LE) ECE 2019 application form is now available. Click here to apply. Admission to the Engineering course (Lateral Entry) will be made on the basis of Competitive Entrance Examination for all category of applicants which will be on June 02, 2019. Candidates have to fill their Application form within the due date. The exam schedule is given below. 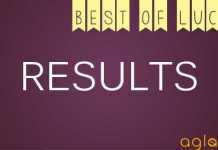 Passed Diploma examination from an AICTE approved Institution; with at least 45% marks (40% in of candidates belonging to reserved category) in appropriate branch of Engineering / Technology. Passed B.Sc Degree from a recognized University as defined by UGC, with at least 45% marks (40% in case of candidates belonging to reserved category) and passed XII standard with mathematics as a subject. Provided that the students belonging to B.Sc Stream shall clear the subjects of Engineering Graphics / Engineering Drawing and Engineering Mechanics as first-year subjects. Provided that the students belonging to B.Sc Stream shall be considered only after filling the supernumerary seats in this category with students belonging to the Diploma. Age Limit – There is no Min or Max age limit. All candidates for all age group are eligible to apply. The application form for JCECE (LE) ECE 2019 has been released by the board. The application forms are released online. The candidates are advised to check the eligibility criteria for the course. The candidates have to submit the duly filled application form before the due date. Otherwise, there will the chance of loosing the seat. Candidates can check the application fee for the exam from below according to the category for the reference purpose. The candidates will have to submit the application fee through the Debit card/ Credit card/ RTGS. The application fee should be submitted online before the last date. For every wrong answer – 0.25 marks will be deducted. For one question answer will be marked at any one option, multiple marks of the answer will be caused, deduction of marks. The answer key for the various course of JCECE LE) ECE will be release online, the candidate who will take exam will be able to download the answer key. Answer key will be available to download in PDF format. After which JCECE (LE) ECE result will be announce. The result of JCECE (LE) ECE 2019 will be announced online on its official website. Candidates who will appear in the competitive entrance examination as per schedule date will be able to check their Result from the link which will be given. Selection of candidates for admission into Engineering course (Lateral Entry) will be made on the basis of marks secured in the Competitive Entrance Examination (LE). Qualified or candidates who secured min marks will be called for the further round (Personal Interview) of selection. For more information about JCECE (LE) ECE 2019, reference – Download Admission Notice. The answer key of various engineering course of lateral entry has been given for the reference purpose only, Candidates can check the answer keys of Entrance Competitive Examination held for the admission in to various engineering courses for lateral entry. Click here to check the Question with Answer Key of “Set A” for JCECE (LE) ECE 2018. Click here to check the Question with Answer Key of “Set B” for JCECE (LE) ECE 2018. Click here to check the Question with Answer Key of “Set C” for JCECE (LE) ECE 2018. Click here to check the Question with Answer Key of “Set D” for JCECE (LE) ECE 2018. Click here to check the notice regarding to the Answer Key of JCECE (LE) ECE 2018. To get more details download prospectus of JCECB(LE) 2019. When will be released bceceb(LE) CE 2018 councelling date…. the counseling will be start soon. No, You have to clear the diploma and then you are eligible to appear in the exam.